Fall has arrived and school is back in session, but that doesn’t mean you can’t still find new exciting reads from Entangled Publishing! 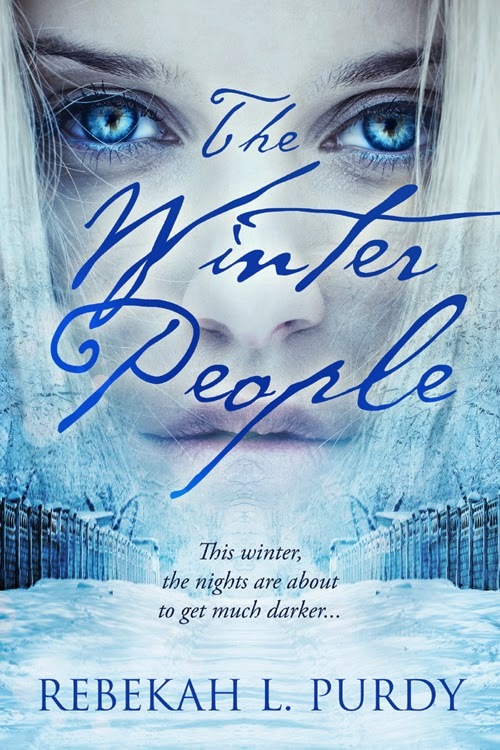 Today we are excited to announce the release of Rebekah L. Purdy’s, The Winter People, which readers are already raving about! Salome discovers she’s a key player in a world she’s tried for years to avoid. At the center of this world is the strange and beautiful Nevin, who she finds trespassing on her family’s property. Cursed with dark secrets and knowledge of the creatures in the woods, he takes Salome's life in a new direction. A direction where she’ll have to decide between her longtime crush, Colton, who could cure her fear of winter. Or Nevin, who, along with an appointed bodyguard, Gareth, protects her from the darkness that swirls in the snowy backdrop. An evil that, given the chance, will kill her. And I can’t forget my other family members–yep, we’ve got some pets: 4 dogs, 3 cats, and 1 turtle. Everyone in the family has one…I won’t bore you all with their names (unless you really want to know). Okay, you talked me into it! Jack, Pearl, Grr…(yes that’s my dog’s name), Callie, Shadow, Mooshoo, Grouchy, and Sorbert. Other than writing some of my other hobbies include: reading (mostly YA of course), singing, swimming, football, soccer, running, camping, sledding, church, hanging with my kids, and traveling.